Right that’s it, sack him, he’s useless. Only made the players, Mark Hughes could’ve managed that. Give it Giggsy till end of season. I’ve been reading the general vitriol and excitement of the ABU who have been in hiding just awaiting this moment for weeks. The comments are generally circling the drain of ‘nothing has changed since Mourinho’. But it has. I think every United fan would agree that the difference is that PSG made us look like average, whereas with Mourinho we so often looked terrible. Out of our depth vs negative effort. It wasn’t an enjoyable watch, but I certainly didn’t end up feeling embarrassed as I often found myself watching the sheer negativity of the past performances. Soon to be Give it Scholesey? I’m going to say it. The ref Daniele Orsato was awful. A lot of Man Utd’s bookings were not bookings. Lindelof’s and Herrera’s were questionable. Young’s and Pogba’s first were so soft I’d wipe my arse with them if they were as absorbent. 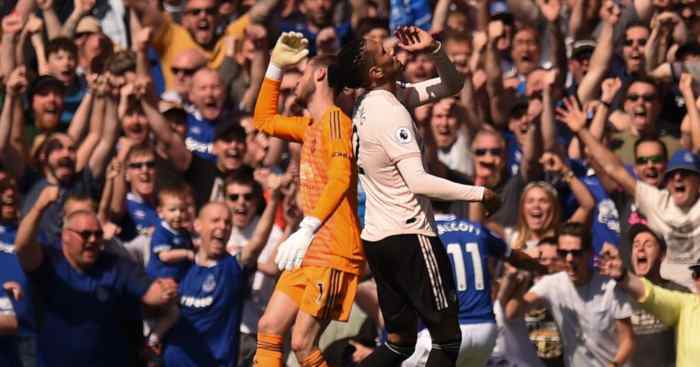 I’ve no problems with Pogba’s second but it should have been his first. What I find really questionable, however, is that Kimpembe could have and maybe should have been sent off in the first half for clattering into Luke Shaw late, and then definitely in the second for pulling back Rashford – made worse when you consider Lindelof’s booking! And had Orsato just reffed the game consistently, Kimpembe would have been off and the dynamics of the game would have been completely different. He shouldn’t have been on to score the first goal, which is when the game started to open up. Orsato couldn’t have affected the game more without actually putting the ball in the net himself. That said, Utd gave PSG too much respect, time and space and it was only when we were two down and we started to chase the game that we started to attack. It was disappointing and definitely Lingard, Martial, Rashford and Pogba had off days but hopefully they’ll be better for it. In the first half, overly fussy referee aside, I thought it was tight and could go either way. PSG showed more nous and experience in the second half but overall I’m disappointed, not angry with the result. 1) I suppose we had that coming. 3) Does Alexis do anything other than give the ball away? At least we have a run of winnable fixtures now, to gain back some momentum. 2. This is you will never be able to build a team around ‘the fool’ Pogba. There is no doubt that he is a wonderful talent. I have always said that if he had the work ethic of Ronaldo, he would be the best player in the world. But sadly, he doesn’t. 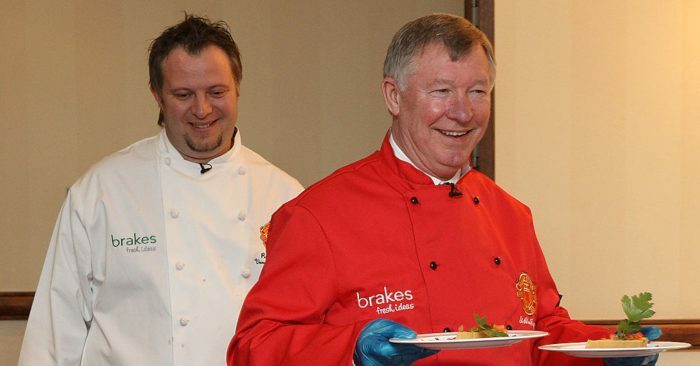 If there is one thing we should realise, it is trust in SAF. He saw that Pogba didn’t have the mentality as a teenager to achieve his potential and he let him go. Last night proves why he was right once again. Yes, he has won many trophies. But throughout these successes, Juventus or France have never relied on him and him alone, as this United team do. To get sent off with minutes to go, with a return leg to come, for a tackle that perhaps deserved a red card, wasn’t unlucky. It was the selfish act of someone who will never be a true leader. It was the middle finger to everyone associated with the club. It was the act of a player who will never reach his ‘full potential’ and not care in the slightest that he won’t. It was the act of a coward. It was the ultimate Paul Pogba. That’s what you get when you spend £500m properly. What the actual f*** did you achieve? On a positive note, I see that as a step in moving forwards, at times matching PSG and playing some good football. Would have been nice to see Neymar, Cavani, Martial and Lingard for 90 minutes though. On an annoying note, PSG’s first scorer should have left the pitch long before the goal. Cynical foul in the 3rd minute (typically weak refereeing, mustn’t book too early) booked shortly after then blatantly fouled Rashford. Anyway, part of the learning curve and hopefully Ole can get us back on track in the Prem. 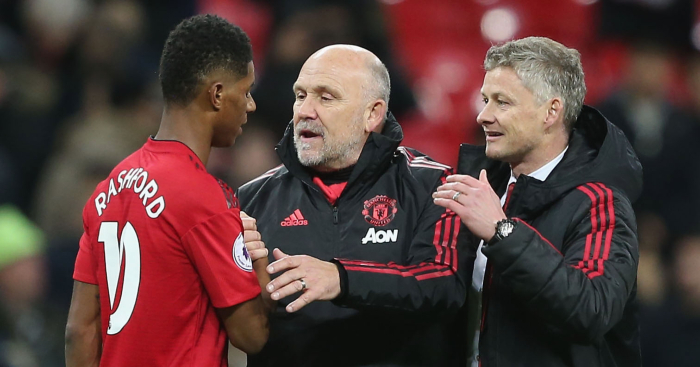 Solksjaer was let down by the squad investment of recent seasons…let me explain. Having Lingard and Martial be replaced by Mata and Sanchez was inevitably going nullify our attack. There is no like for like replacement in the attacking third or even in midfield, and this is what will hurt us going into the final third of the season. Any one of Matic, Herrera, Pogba, Martial, Rashford and Lingard has no direct replacement of similar quality. Every substitution or change in the starting line-up will dramatically change the way we play, and most often for the worse. Matic out, Mctominay in. Herrera out, Fred in. Pogba out, Pereira in. Martial out, Sanchez in. Lingard out, Mata in. Rashford out, Lukaku in. Injuries to our front 6 will absolutely cripple us. Mourinho was absolutely right to question this squad and yet perhaps it was better suited to how he wanted to play. But for Solksjaer and his direct, pacey approach, these back-up players are a nightmare. The real test for him will come when against Chelsea, Liverpool and the tough games that follow, he has those quick players missing or the midfield of Matic and Herrera. Weve seen it already in games where those players have been rested and tonight against truly superior opposition we were well beaten and exposed. Had the second half began with our first choice trio up front, and with a little more composure, United would probably have gone on to get a better result, although you always felt PSG had an extra gear to move into. Tuchel displayed great tactical awareness, Alves nullifying Martial/Shaw, Marquinhos keeping Pogba in his pocket and the whole team pressing high after scoring the opener to give them the Mbappe goal on the break. The team showed their lack of experince after the first goal and it took a good 15 minutes before they started to play again. Pogba was lucky to escape a red the last time he tried shielding the ball like that, this time he got one. Maybe he will change his approach in future. Solskjaer will be left to rue what could have been but i dont think this result makes him less qualified for the full time job, nor do i think he ‘got it wrong’. He was just unlucky with those injuries. Thank Ferguson (God) Neymar and Cavani were missing or it could have been embarassing. To conclude this rambling of a first time mailer, i think we were well beaten by a far better team. Most importantly, i think we have seen that not even Ole can bring the beautiful game back to the Theatre of Dreams with this squad. It needs (quality) investment, from back to front. The first eleven is fantastic…but they are like 11 cards stacked up to build a beautiful house; if one of them falls the whole thing starts to crumble. * The second thing that was shown is how some people just don’t fit into this side Valencia Rojo and Darmain are probably going to be put to pasture on this evidence Young and Sanchez shouldn’t be far behind. Young was exploited all day long and for a winger still has lousy passes , Sanchez feels like Karma for Silvestre and RVP but the sad one personally is Mata thats 3 straight games where he’s failed to influence he’s clearly on the wane. 1) Well, that was about as big a disaster as it possibly could have been. Two away goals conceded, two key players injured, one key player suspended, and the tie effectively over already. A combination of bad luck, bad attitude, and a truly appalling referee. 2) The first goal is just so hard to take. Kimpembe absolutely should not have been on the pitch at the time he scored it. Considering the two yellows that Pogba got, Kimpembe did enough to earn a bare minimum of three. It doesn’t change the fact that the defending for his goal was rubbish (why did Matic stop?! ), but it’s impossible to score when you’re not on the pitch, and with them down to 10 it could have been a different game. 3) The second goal you just have to applaud. It was a fast, incisive attack that we could do virtually nothing about. Fair play. 4) But some of those refereeing decisions were absolutely unfathomable. Young’s yellow was not even a foul – the slightest of touches on Mbappe’s shoulder, whether they’re running or not, does not constitute a foul. Shaw’s, equally, was not a yellow; Alves stops dead while Shaw is running towards him, how exactly is he supposed to stop? And Herrera clearly gets the ball before the man, if at all, and didn’t endanger his opponent in any way, shape or form. I’m not even convinced that Pogba’s first was a yellow-worthy foul either. Shocking night for the referee. 5) That said, we should have been wise to their antics – Dani Alves’ behaviour for Pogba’s second was pathetic, the length of time he was down was totally over-exaggerated (as you’d expect) and the referee got conned. Yet again. Their team, even without Neymar, contains some of the worst play-actors in the business, so it showed a distinct lack of awareness from United to play right into their hands. It still doesn’t excuse the appalling refereeing but we should have been smarter. 6) The game, however, completely turned on those two injuries. Without the pace, incision and pressing of Martial and Lingard, we posed virtually zero threat to Buffon’s goal. I can’t actually remember any shots on target in that second period. 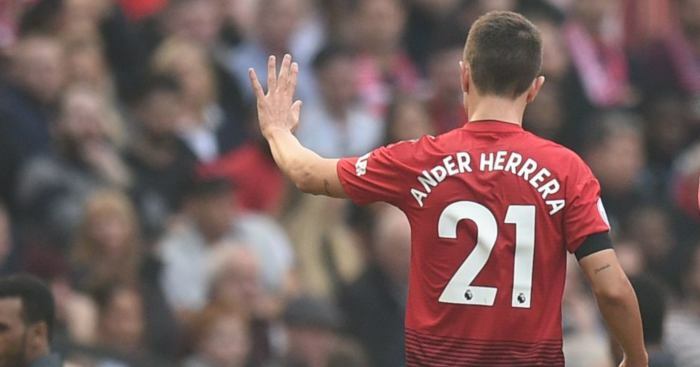 In fact, I think only Herrera had any shots at all in the second half. We’re not always going to be able to play our first-choice 11, through injury, suspension or fatigue, so that plan B really needs working on. 7) Speaking of which, Sanchez and Mata were both really very poor. If Alexis Sanchez is good enough for professional football at this level then I genuinely feel like I could have made it as a footballer. Every single touch was heavy, every pass misplaced, every run halted so he could stop and turn into trouble. He can’t do anything at all right, and offers this team literally nothing. Certainly nothing that Gomes or Chong couldn’t also provide. I know neither are really ready for this level, but quite frankly I’d rather see them starting and getting the experience, even if they don’t do anything better than Sanchez does. Mata, as much as I love him, offers nothing to this team any more. It pains me to keep saying it but he can’t keep up any more. 8) But the biggest problem is that we appear to only have one way of playing at the moment. Granted, it’s been a really effective way, but no team that has ambitions of greatness is hindered like that. I’m all for playing to your strengths but you have to have alternatives for when that’s working. Bringing on Mata and Sanchez and expecting them to be able to provide the same kind of contribution is just folly. 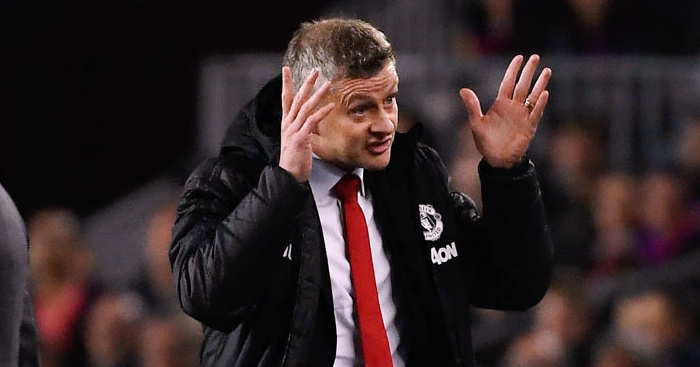 9) This result does not change anything as far as Solskjaer is concerned, but it does mean that he’s now got an enormous task on his hands. Not in terms of the second leg, this tie is pretty much done now, unless we can somehow get Martial and Lingard fit for the return leg. The big test is on the domestic front; we have absolutely huge fixtures coming up in the next few weeks, so this is the real test for him – can he turn it around in time for the Liverpool game? 10) Speaking of which, if, as it looks right now, we go into that game without two of our four best players – two players who are crucial to how we attack. All of a sudden, our great form counts for absolutely nothing, so we are a much less threatening prospect. Liverpool must be absolutely delighted with tonight’s events. All in all, it really couldn’t have gone much worse, short of De Gea picking up an injury or suspension, so there’s nothing positive to take from tonight. It was going to happen eventually, but this was a terrible match to mark Ole’s first loss. It’s come at an enormous cost and at exactly the wrong time. Tonight showed why Solskjaer shouldn’t be given the United job. He is tactically inept and has been extremely lucky so far. After he won his first couple of games the question was “yeah but who did he beat?”. They then beat Spurs and Arsenal, in both games they had less possession and where out passed and out tackled and conceded more shots on target than their opposition, in the Spurs game only De Gea’s go go gadget legs kept them in it. In recent weeks, Burnley got a point of them and Leicester should have. Solskjaer tonight had no plan B, aside from hoping Rashford would get a one in one or Pogba would pull out a worldie from somewhere, they finished the game with a front 3 of Sanchez Lukaku and Mata, a 3 deemed not good enough many a time on this website by United fans. Why take off Rashford your most in form striker?, why not change your midfield formation to get more out out of Pogba and try and get Marquinhos away from him? 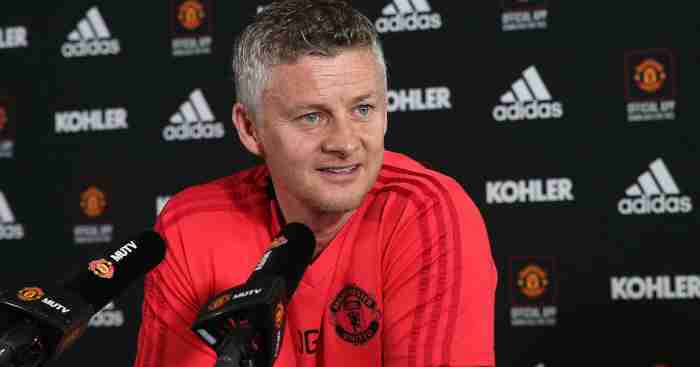 At one point the “oles” where out from the PSG fans while they had a spell of possession and Irish commentator George Hamilton said “Welcome to the big leagues Ole Gunnar” and thats what United need: a big league manager. United need a big name who has his plan B and C, not someone who got Cardiff relegated and clearly has no tactical knowledge or plans. Do United fans still want him as manager for next season? Be interesting to see if they do. PSG was always a tough ask but they where there for the taking tonight and instead Solskjaer just gave them the win. I know he is the premier leagues’ golden boy, but boy did he look amateur today. At some point PSG are doing ole’s and the camera panned to Ole, and he had the deer in headlights look. This was all pashun, and a bit of tactics, and by tactics I mean, very basic “let’s hit them on the counter with pace”. The pressing was incoherent, like they watched a video of Man City press, without actually knowing all the dynamics behind it. The ball possession at home was absolutely atrocious. When Liverpool played PSG, they blew them away at Anfield, but lost a close game in Paris. Spurs have also gone out there this season and produced some memorable nights in Europe, Barca as an example. What have Man U done this season? People have said that it simply cannot be just a case of making them smile in order to get more out of them. I think creating a happy, harmonious environment, out of a poisonous one and asking said players to go out there and beat counterparts can work. It’s the truly special ones, very few honestly, who beat better sides without having the very best squad. Ole, was beat badly tonight. 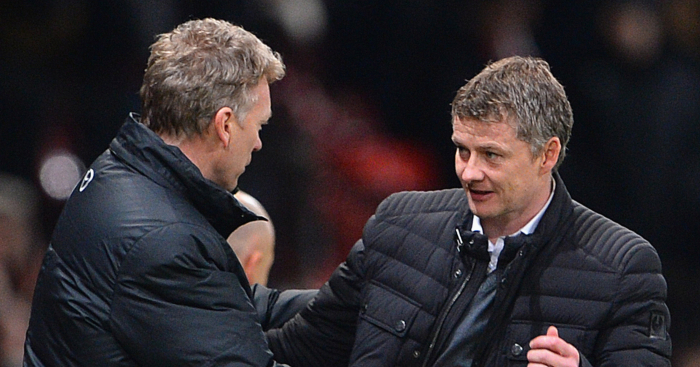 He had that Moyes look about him at the end. It was the absolute lack of in-game intelligence that really disappointed, in terms of one of the up and coming EPL managers. I absolutely think Man United were a disgrace to English clubs in Europe tonight. It’s not the fact they lost to PSG, it’s the manner of the loss. There was an absolute lack of fight. The manager himself didn’t seem to know what to do. I think at this point I’ll sit on the side of, he shouldn’t get that job. He was extremely exposed tonight by a side that wasn’t even playing their best 2 players. Well, that was embarrassing. For all the crowing from United fans about how they’re back, for all the blathering on about how Old Trafford is a special place from Ole, the gulf in class between a United side playing at its maximum ability versus a severely depleted PSG team missing Neymar, Cavani, Meunier and playing a 36 year old Dani Alves at RW was massive. Quite a humbling experience for United then. OGS has made a massive difference to United since taking over but this just shows how naive he is tactically and far, far from the managerial elite. They were completely toothless in attack, their best attack of the night came from some classless tw*t throwing a bottle at Di Maria. Did Buffon even have a single save to make? He might as well as have brought out a cigar and a chair. And yet, the toothless attack didn’t come at the cost of a competent defense. United were way too open in defense, especially in midfield. PSG were pretty poor themselves but didn’t even have to be anywhere near their best to keep United pinned back whenever they felt like doing it. Personally, I thought United were incredibly lucky not to have Cavani playing. Neymar may be the better player but Cavani is the one who sets the tone for PSG in these matches, chases down every single ball, puts pressure on the defense. Would also have allowed Mbappe to play his more naturally suited RF position and put United to the sword, instead of being isolated in the center. OGS is clearly a decent manager but he has a lot to learn and a long way to go before he can take on the United gig full time. In some respects, being played off the park at home might even be a good thing for United in the long term as it’ll make sure the club doesn’t get carried away with OGS’ start (wildly outperforming xG so far) and look to make proper improvements over the summer. P.S Spurs are a “massive disadvantage” against full strength Dortmund who have had full rest. The same full strength team that’s missing Reus, Alcacer, Weigl, Akanji, Zagadou and Piszczek. I get that Spurs will miss Kane and Alli, but Dortmund literally have their starting defense and attack out, no need to get the excuses in early for them, in case they lose.